Belbin is a practical and easy-to-use tool that can be applied to training and business outcomes. The theory has been researched over nine years and is continually validated to ensure that it is perfect for the workplace environment today. Belbin Reports take the theory and convert it into tangible, usable advice and guidance for for both organisations and individuals. The Team Roles that Meredith Belbin pioneered are used widely across the world today. 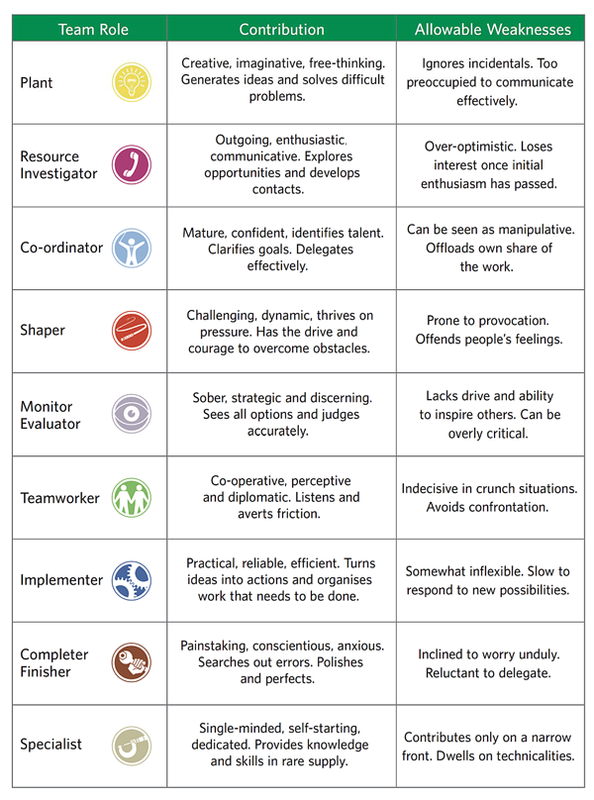 The research panning over a decade, revealed the key role that behaviour plays and led to the identification of the 9 team roles. The team roles are clusters of behaviours or contributions that were found to be key for successful working. During his research, Meredith found that each of the clusters of behaviours were essential in getting the team successfully from start to finish. This doesn’t mean that you need nine individuals, each with one strong Team Role in each team. Each of us can play two or three Team Roles well, and should learn to adapt our behaviour to the needs of the team’s objective. Hence identifying the team role contribution required for a particular task and managing team resources such that the contribution comes on the table is important. Belbin team roles identifies individual strengths, celebrates difference and allows for collaboration in its truest sense.